Photo: Leave only footsteps Mekaki Beach. Almost popular Lombok offers the soaring volcano of Rinjani, stunning rice paddies, glorious beaches and a rich history and culture. Sitting just across the Lombok Strait from Bali, it’s located on the eastern side of the Wallace Line, firmly in Wallacea, the geographical zone that sees the flora and fauna of Asia gradually shift to that of Australia. The line may well delineate a change in tourism numbers as well. With the exception of the Gilis -- which many visitors seem to treat as a part of Bali -- Lombok sees but a fraction of the tourists that Bali does. Bali has largely shaken off the downturn that followed the tragic 2002 and 2005 bombings, but for Lombok, the hangover has lingered far longer. Only in recent years has the island’s tourism scene begun to seriously stir again. As with most of Indonesia, the majority faith on Lombok is Islam but the indigenous language is Sasak, a relation to Balinese and Semawa, the indigenous language of Sumbawa. Balinese make up a significant minority of the population, but to the casual visitor may appear to be over-represented in the tourism industry. Lombok lacks the obvious "richness" of the cultural and artistic scene you’ll encounter in Bali -- no daily ceremonies, fewer streets lined with painters and carvers -- but it more than makes up for this with a splendid and rugged scenery, especially hospitable people and a generally lesser touristed feel. Probably the best known part of Lombok is the trio of islands off the northwest coast of the mainland: the Gili Islands. Gili Trawangan, Gili Meno and Gili Air have exploded in popularity thanks to daily fast boat connections to Bali and sadly (or thankfully depending on your point of view) many visitors to the Gilis get no further. The islands largely deliver the goods to those looking for some excessive partying, snorkelling, diving and laying around on the beach, but they’re not everyone’s cup of tea -- and Lombok, these islands are not. The Gilis can also be approached via mainland Lombok through the boat landing at Bangsal, which in turn is easily reached from a sinking star of Lombok’s tourism scene, Senggigi. Set around halfway between the island’s capital of Mataram and the Gili Islands, Senggigi grew through the 1980s and 90s, thanks in part to its decent beaches and proximity to Lombok’s old airport near Mataram. The new airport, at Praya, just 20 minutes from Kuta Beach in southern Lombok, is set to boost tourism down there more than to support more visitors to Senggigi, a beachside town we found to be thoroughly unappealing. The sunsets are good though. While Lombok’s northwest Gilis get all the love, two other island clusters are worth consideration: the northeast, where a few uninhabited islands out from the coast of Labuan Pandan boast outstanding snorkelling, and at the diagonally opposite end of the island, on the north coast of the Sekotong Peninsula, where you’ll find Gili Nanggu, Gili Gede and Gili Asahan, among others. Lombok is wrapped around Gunung Rinjani, an active volcano which last erupted in 2010. At 3,726 metres, this is the second highest peak in Indonesia. 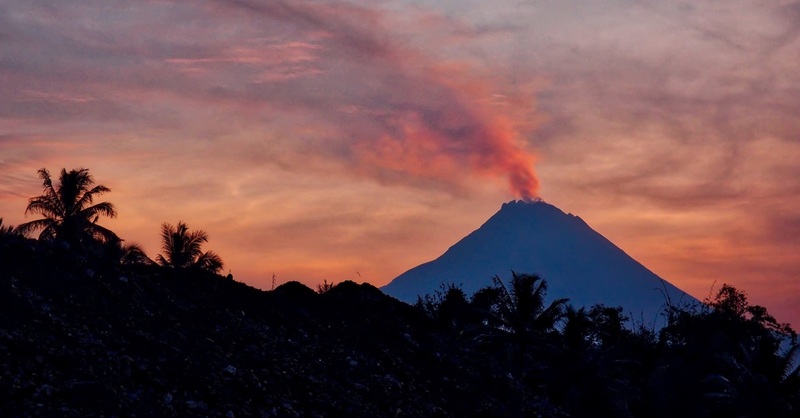 An eruption in 1257 is believed to have rivalled the eruption of Krakatoa and kicked off a global cooling that saw crop failures as far away as in the United Kingdom. Today the peak remains active and climbing the summit is a highlight for many visitors to the island. Senaru, on the northern slopes of the peak, is the most popular place to stay among those planning to ascend the peak -- or even those just looking for cooler climes, with the far smaller town of Sembalun Lawang on the east side of the peak running a distant second for lodgings -- though many of the treks actually start from here. Nestled on the south side of Rinjani is the ricefield village of Tetebatu. While it’s tempting to think of Tetbatu as something like "Lombok’s Ubud", it’s thankfully nothing of the sort and instead offers a pretty getaway where you can take ricefield walks and visit some gorgeous waterfalls. It’s a very low-key destination that makes for a pleasant change in scene from the beaches that are the main drawcard on Lombok. Head south from Tetebatu and you’ll reach Ekas to the southeast and Kuta to the southwest. Ekas is rugged and very little developed, but well renowned for its surf breaks and deserted beaches. To the west, on the other side of Ekas Bay, lies Awang and the road onwards to Kuta. While the town of Kuta itself is a bit of a dump, the surrounding beaches are simply magnificent -- for surfers and sunbathers alike. The area has a bit of a (perhaps well earned) Wild West reputation, but with the new airport just 20 minutes’ away, a large increase in development here is inevitable -- so go now! Planning on riding a scooter in Lombok? Please read this. 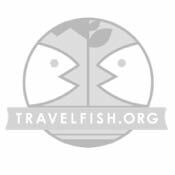 Use the above map to find specific destinations in and around Lombok which are listed on Travelfish. Bed icons indicate a guesthouse, hostel or hotel, the knife and fork is an eatery or bar and the four-way circular thingy marks sights, attractions and other points of interest. Click on any icon for a short pop-up and a direct link to the page for that spot. If you are in the area, use the teardrop icon near the top left to show your position on the map (you'll need to allow position sharing for this last feature to work).